Description: As culturally diverse as the counseling profession has become, it is not uncommon to work with people who are culturally-different from ourselves. Although we are expected to provide culturally competent care to those we serve (Daniels, D’Andrea, & Kim, 1999; Young, 2004), a gap still persists between the care we know to provide and the actual provision of service (Larson, 1999, Barnes, 2004). In this didactic workshop, the presenter will address her research on the relationship between self-efficacy, broaching cultural differences, and cultural competence and provide opportunities for demonstration. Implications for enhancing cross-cultural counseling and supervision will be provided. practice broaching to improve outcomes in cross-cultural relationships. 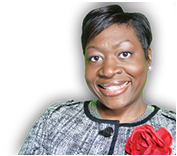 Presenter: LaTonya M. Summers, Ph.D., LPCS, LCAS, MAC, NCC is an assistant professor at Jacksonville University. She has been in the counseling profession for 22 years, and conducts research on multicultural issues in counseling and supervision, and social justice and advocacy readiness. Among other honors, she was awarded the 2018 Outstanding Practitioner-Supervisor Award, by Chi Sigma Iota International. She founded the annual Black Mental Health Symposium, a national conference that equips mental health professionals and educators with culturally-specific interventions to improve mental health outcomes in Black communities. Description: Participants will understand how to bypass barriers to providing play therapy in just about any setting. Those barriers are often money, space, and time. This presentation will address all three of these potential barriers and give participants tools to use for an effective play therapy setting. This presentation is APT provider-approved for RPT continuing education credits. Participants will be able to understand how barriers can hinder integrating play therapy into one’s practice/setting. Participants will be able to label three barriers to an effective play therapy practice/setting. Participants will be able to understand how they can modify the barriers that hinder their own practice/setting. Presenter: Jill Van Horne PhD, (LPCS, NCLPSC, NCC, RPTS, EAGALA certified) is an Assistant Professor & Director of the Professional School Counseling Program at Appalachian State University. She has over 20 years of combined school counseling and clinical mental health experience. Her work is primarily with children and adolescents. 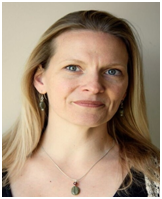 Her professional interests include incorporating sensory and experiential approaches when working with children & adolescents and extending dialogue between professional school counseling and the clinical mental health disciplines. Description: This pre-conference session will explore the practice and implementation of radical affirmation in our clinical work with LGBTQ+ clients. Through lecture and discussion, attendees will review terminology and foundational information critical to working with LGBTQ+ populations and gain depth and breadth in knowledge specific to LGBTQ+ identities and communities. Additionally, attendees will engage in experiential exercises, group discussion, and work shopping of paperwork and structural policy within their place of work, facilitating the integration and application of liberatory and affirming practices within counseling and enhancing attendee competence to better serve intersectional clients who identify as LGBTQ+. Attendees will deepen understanding of and enhance ability to effectively utilize nuanced language related to LGBTQ+ individuals and communities. Attendees will engage in reflexive practice regarding ways in which their own identities and experience of power/privilege shape LGBTQ+ clients’ access to liberation and affirmation within clinical spaces. Attendees will also explore ways to increase and enhance affirmative practices in clinical work with LGBTQ+ clients. Attendees will engage with their own paperwork and structural policies/practices that might bar access to the existence of affirming and safe counseling spaces. Attendees will explore ways to ameliorate these barriers and apply learning from this session to directly impact their places of practice, enhancing opportunities to provide affirming and liberatory services at all levels of care (i.e., intake paperwork, branding, structural resources) to intersectional LGBTQ+ clients. Presenter: Whitney P. Akers, PhD, NCC, LPCA, ACS is an Assistant Professor at The University of North Carolina at Pembroke and a counselor in private practice in Greensboro, NC. Whitney completed doctoral work in Counseling and Counselor Education with a cognate in Women’s and Gender Studies at the University of North Carolina at Greensboro. Whitney’s research centers on how people who identify as LGBTQ+ experience outness, how intersections of queerness and race, class, ability, spirituality, and ethnicity influence mental health and wellness, and how these intersectional lived-experiences are impacted by the current sociopolitical climate in terms of access, perceived levels of safety, and identity pride. 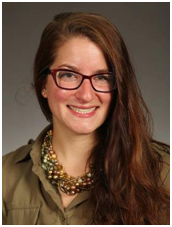 Recently, Whitney’s passion for examining ethical research practices facilitated collaboration with a team of counselor educators affiliated with ALGBTIC and AARC to create standards for assessment and research with LGBTQ+ populations. Whitney is grateful to have received the 2016-2017 ALGBTIC Graduate Student Award and honored to serve on the editorial board for The Journal of LGBT Issues in Counseling and as the 2018-2019 ALGBTIC New Professional Emerging Leader. Participants will receive a brief overview of the developmental stages of a counselor from counseling student to retirement. Participants will discuss interventions that can be used throughout the counselor’s professional development. Participants will explore the intervention to address diversity/multicultural concerns and ethical concerns. Presenter: Christina Rosen, EdD., LPCS, LCAS, CCS, ICADC, NCC is a Professor in the Human Development and Psychological Counseling Department at Appalachian State University. 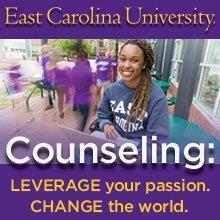 Her experience includes 30 years as a counselor, 26 years as a supervisor, and 14 years as a counselor educator. She has been trained as a spiritual director. She has numerous, international, national, regional and state presentations and 15 publications. Her areas of scholarly work include: mentoring, supervision, supervisee development, substance abuse/dual diagnosis, spirituality and religious beliefs, ethics, and gestalt theory.